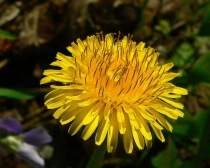 Dandelion has a diuretic effect in human subjects. BACKGROUND: Taraxacum officinale (L.) Weber (Asteraceae) has been extensively employed as a diuretic in traditional folk medicine and in modern phytotherapy in Europe, Asia, and the Americas without prior clinical trial substantiation. OBJECTIVES: In this pilot study, a high-quality fresh leaf hydroethanolic extract of the medicinal plant T. officinale (dandelion) was ingested by volunteers to investigate whether an increased urinary frequency and volume would result. DESIGN: Volume of urinary output and fluid intake were recorded by subjects. 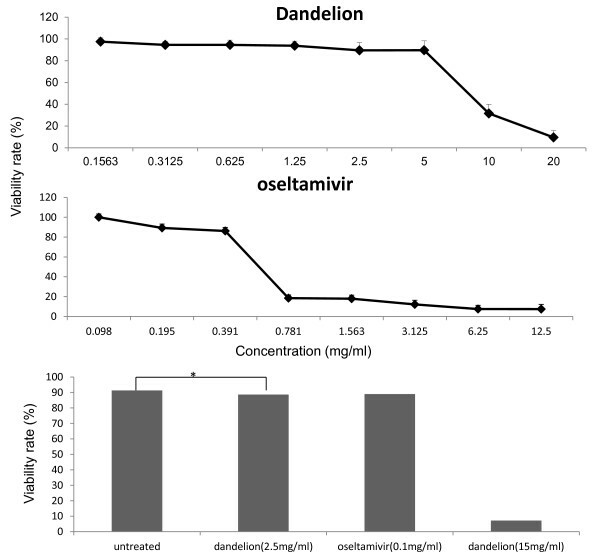 Baseline values for urinary frequency and excretion ratio (urination volume:fluid intake) were established 2 days prior to dandelion dosing (8 mL TID) and monitored throughout a 1-day dosing period and 24 hours postdosing. RESULTS: For the entire population (n = 17) there was a significant (p<0.05) increase in the frequency of urination in the 5-hour period after the first dose. There was also a significant (p<0.001) increase in the excretion ratio in the 5-hour period after the second dose of extract. The third dose failed to change any of the measured parameters. CONCLUSIONS: Based on these first human data, T. officinale ethanolic extract shows promise as a diuretic in humans. Further studies are needed to establish the value of this herb for induction of diuresis in human subjects. 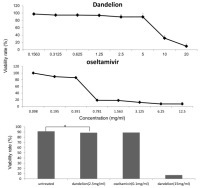 A water extract of Taraxacum mongolicum had a protective effect on lipopolysaccharide induced acute lung injury in mice. Anti-inflammatory effects of water extract of Taraxacum mongolicum hand.-Mazz on lipopolysaccharide-induced inflammation in acute lung injury by suppressing PI3K/Akt/mTOR signaling pathway. ETHNOPHARMACOLOGICAL RELEVANCE: Taraxacum mongolicum Hand.-Mazz is a famous medicinal plant in China, has been listed in the Pharmacopoeia of the People's Republic of China and used to treat infection, fever, upper respiratory tract infection, pneumonia, and other infectious diseases. This study aims to evaluate the possible mechanisms responsible for the anti-inflammation effects of water extract of T. mongolicum Hand.-Mazz (WETMHM) on lipopolysaccharide (LPS)-induced inflammatory in acute lung injury. MATERIALS AND METHODS: Female BALB/c mice were randomly divided into five groups with 10 mice in each group: (1) control group (saline), (2) LPS group, (3) LPS+dexamethasone (LPS+Dex, 2mg/kg, administered by gavage), (4) LPS+WETMHM (5 g/kg, administered by gavage), (5) LPS+WETMHM (10 g/kg, administered by gavage). 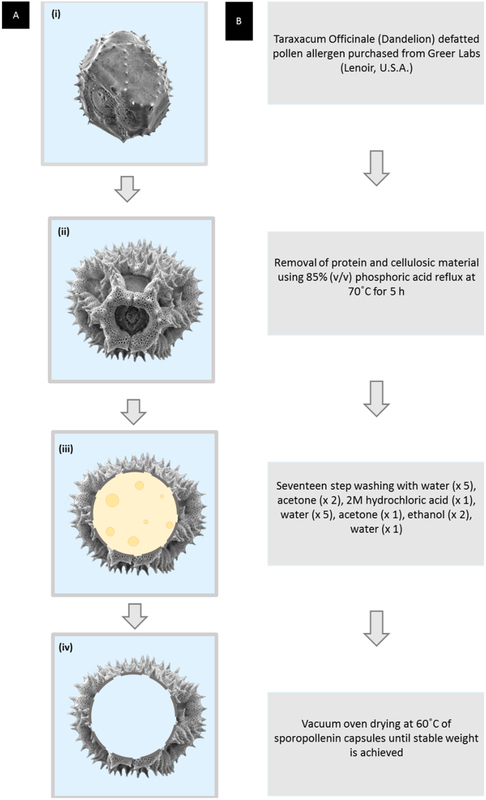 The cell counting in the bronchoalveolar lavage fluid (BALF) was measured. The animal lung edema degree was evaluated by wet/dry weight (W/D) ratio. The superoxidase dismutase (SOD) activity and myeloperoxidase (MPO) activity were assayed by SOD and MPO kits, respectively. The levels of inflammation mediators including tumor necrosis factor-α (TNF-α), interleukin (IL)-1β, and IL-6 were assayed by an enzyme-linked immunosorbent assay method. Pathological changes of lung tissues were observed by hematoxylin and eosin (HE) staining. The levels of P-PI3K, PI3K, P-Akt, Akt, P-mTOR and mTOR were measured by Western blotting. RESULTS: The data showed that treatment with the WETMHM inhibited LPS-induced inflammation: (1) WETMHM attenuated inflammation cell numbers in the BALF, (2) decreased protein levels of lung PI3K/Akt/mTOR, and (3) improved SOD activity and (4) inhibited MPO activity; (5) histological studies demonstrated that WETMHM substantially inhibited LPS-induced neutrophils in lung tissue. CONCLUSION: The results indicated that the WETMHM had a protective effect on LPS-induced ALI in mice. Dandelion (Taraxacum officinale) protects rats from chemical induced pancreatitis. 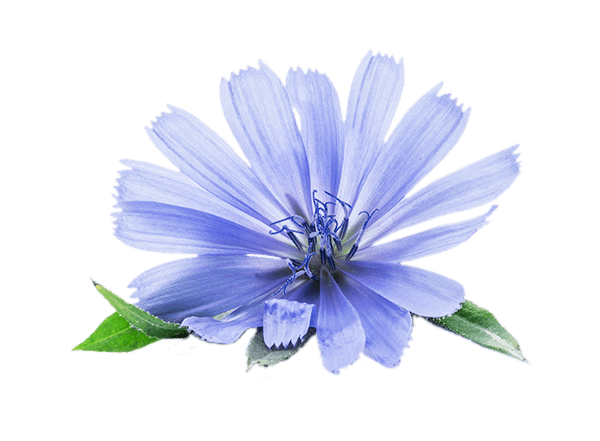 Taraxacum officinale protects against cholecystokinin-induced acute pancreatitis in rats. AIM: Taraxacum officinale (TO) has been frequently used as a remedy for inflammatory diseases. The aim of this study was to investigate the effect of TO on cholecystokinin (CCK)-octapeptide-induced acute pancreatitis in rats. METHODS: TO at 10 mg/kg was orally administered, followed by 75 microg/kg CCK octapeptide injected subcutaneously three times after 1, 3 and 5 h. This whole procedure was repeated for 5 d. We determined the pancreatic weight/body weight ratio, the levels of pancreatic HSP60 and HSP72, and the secretion of pro-inflammatory cytokines. Repeated CCK octapeptide treatment resulted in typical laboratory and morphological changes of experimentally-induced pancreatitis. RESULTS: TO significantly decreased the pancreatic weight/body weight ratio in CCK octapeptide-induced acute pancreatitis. TO also increased the pancreatic levels of HSP60 and HSP72. Additionally, the secretion of IL-6 and TNF-alpha decreased in the animals treated with TO. CONCLUSION: TO may have a protective effect against CCK octapeptide-induced acute pancreatitis. An extract of the roots of Taraxacum japonicum (Compositae) exhibited strong anti-tumor-promoting activities on the two-stage carcinogenesis of mouse skin tumor induced by dimethylbenz[a] anthracene (DMBA) as an initiator and 12-O-tetradecanoylphorbol-13-acetate (TPA) as a promoter, as well as on that induced by DMBA and fumonisin B1. Further, the extract exhibited anti-tumor-initiating activity on the two-stage carcinogenesis of mouse skin tumor induced by (+/-)-(E)-methyl-2-[(E)-hydroxyimino]-5-nitro-6-methoxy-3-hexen amide (NOR-1) as an initiator and TPA as a promoter. These results suggested that an extract of the roots of the Taraxacum plant could be a valuable chemopreventive agent against chemical carcinogenesis. Treatment with taraxasterol significantly increased the pain thresholds and reduced the clinical arthritic scores of mice. Protective effect of taraxasterol against rheumatoid arthritis by the modulation of inflammatory responses in mice. Taraxasterol is an effective component of dandelion that has anti-inflammatory effects in vivo and in vitro. The present study was performed to explore whether taraxasterol exhibits a protective effect against rheumatoid arthritis through the modulation of inflammatory responses in mice. Eight-week-old CCR9-deficient mice were injected with a collagen II monoclonal antibody cocktail to create a rheumatoid arthritis model. In the experimental group, arthritic model mice were treated with 10 mg/kg taraxasterol once per day for 5 days. Treatment with taraxasterol significantly increased the pain thresholds and reduced the clinical arthritic scores of the mice in the experimental group compared with those of the model group. Furthermore, treatment with taraxasterol significantly suppressed tumor necrosis factor-α, interleukin (IL)-1β, IL-6 and nuclear factor-κB protein expression levels compared with those in the rheumatoid arthritis model mice. Taraxasterol treatment also significantly reduced nitric oxide, prostaglandin E2 and cyclooxygenase-2 levels compared with those in the rheumatoid arthritis model group. These observations indicate that the protective effect of taraxasterol against rheumatoid arthritis is mediated via the modulation of inflammatory responses in mice. Dandelion root has a potent action against chemoresistant melanoma without toxicity to healthy cells. Department of Chemistry and Biochemistry, University of Windsor, 401 Sunset Avenue, Windsor, ON, Canada N9B 3P4. Notoriously chemoresistant melanoma has become the most prevalent form of cancer for the 25-29 North American age demographic. Standard treatment after early detection involves surgical excision (recurrence is possible), and metastatic melanoma is refractory to immuno-, radio-, and most harmful chemotherapies. Various natural compounds have shown efficacy in killing different cancers, albeit not always specifically. In this study, we show that dandelion root extract (DRE) specifically and effectively induces apoptosis in human melanoma cells without inducing toxicity in noncancerous cells. Characteristic apoptotic morphology of nuclear condensation and phosphatidylserine flipping to the outer leaflet of the plasma membrane of A375 human melanoma cells was observed within 48 hours. DRE-induced apoptosis activates caspase-8 in A375 cells early on, demonstrating employment of an extrinsic apoptotic pathway to kill A375 cells. Reactive Oxygen Species (ROS) generated from DRE-treated isolated mitochondria indicates that natural compounds in DRE can also directly target mitochondria. Interestingly, the relatively resistant G361 human melanoma cell line responded to DRE when combined with the metabolism interfering antitype II diabetic drug metformin. Therefore, treatment with this common, yet potent extract of natural compounds has proven novel in specifically inducing apoptosis in chemoresistant melanoma, without toxicity to healthy cells. There are 787 on Dandelion.